Naas CBS came good in extra-time at Parnell Park last night to secure their second consecutive Leinster Schools Senior 'A' Football Championship title. Wicklow Schools had edged in front early on with points from Aaron Kennedy and Oisin McGraynor, before Naas opened their account through Dermot Hanifin. They looked set to push on when Alex Beirne posted an equalising score, only for Sean Doody to edge the Garden County side back into the ascendancy. Despite being off-colour for much of the opening period, a routine Mikey McGovern free ensured Naas were on level terms at the interval. They subsequently moved ahead for the first time after the restart - centre-forward Drew Costello superbly converting a 45 in advance of a Kevin Quinn point on the run. They received a major let-off on the third-quarter mark, when McGraynor fired a penalty past Naas' right-hand post. A plethora of scores forced Naas into the driving seat, until a fortuitous Kennedy goal reignited the Wicklow challenge. Eoin Darcy's second point meant the sides couldn't be separated in normal time, but Naas finally hit their stride in the additional periods. Supplementing McGovern and Eoin Conneff points, Beirne registered a 1-1 salvo in spectacular fashion. Darcy's latest contribution reduced the Wicklow deficit to five (1-12 to 1-7) on the stroke of 70 minutes, and they remained in touch as the play progressed. However, a speculative Harry Carroll shot subsequently drifted into the net to seal Naas' back-to-back triumph. 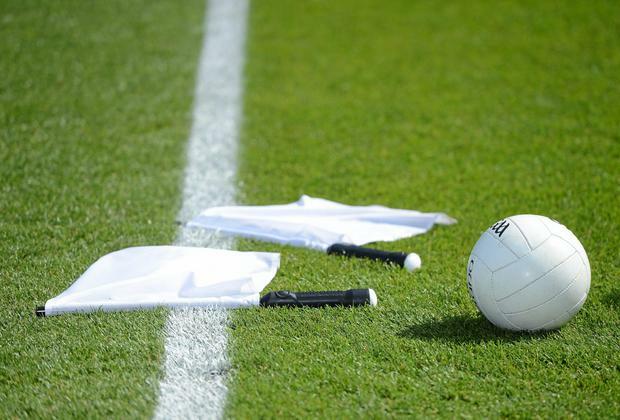 Scorers - Naas CBS: A Beirne 1-3 (0-1f); M McGovern 0-4 (3f); H Carroll 1-0; E Conneff 0-2; D Costello (45), K Quinn, D Hanifin 0-1 each. Wicklow Schools: E Darcy 0-5 (0-2f); A Kennedy 1-1; S Doody, O McGraynor, B Crowe 0-1 each. NAAS CBS - D Morrissey; J Lawler, C O Gallchobhair, J Hamill; K Quinn, E Archbold, K Kelleher; L Broderick, J Cleary; T O'Connor, D Costello, A Beirne; D Hanifin, E Conneff, M McGovern. Subs: H Carroll for Broderick (44), S Murphy for Hanifin (49), M O'Byrne for Costello (55), C Boran for Lawler (58), A Cassidy for McGovern (60+2), McGovern for Cassidy (61), R Monaghan for Quinn (63), C Murphy for McGovern (78), Cassidy for Beirne (79). WICKLOW SCHOOLS - B Fennell; A Maher, C McDonald, A Conway; G Fogarty, M Reid, O Cullen; S Doody, C Coffey; D Rochford, O McGraynor, P O'Keane; E Darcy, A Kennedy, J Hedderman. Subs: B Crowe for Cullen, C Maguire for Rochford (both 39), J Doyle for Coffey (46), T O'Toole for O'Keane (55), T Barrett for Conway (58), D Wright for Doody (70), Cullen for McDonald (73), O'Keane for Hedderman (79). REF - D Hickey (Carlow).